David is passionate about learning and teaching all about WordPress, technology, and how the world works. His focus at WPShout is back-end topics. Connect with him on Twitter. 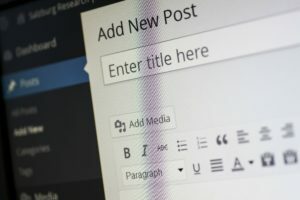 Following last week’s post about WordPress security, in this post, I’ll start with advice I see commonly in other places that I don’t see much point in doing. Most of this advice is nearly harmless to slightly beneficial if it’s done. But the reason I don’t recommend it is that its benefits (where they exist) are so small. And the possibility that spending time on them makes you ignore more-valuable security practices is big. You’re free to do these, but I just don’t think they’re worth the time invested because the gains they give are very small. For people who only use their WordPress site as a web interface, and only want to, there’s no real harm in disabling WordPress’s XML-RPC API. 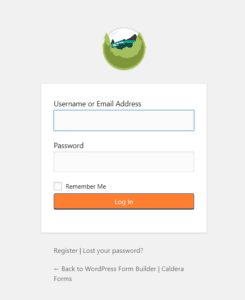 XML-RPC is used by things like MarsEdit, the WordPress mobile app, and other similar tools to connect to your WordPress site. It now possible for those tools to rely on the REST API instead, although most haven’t been updated for that. The likelihood of this step protecting you is low. You’re specifically protecting against what’s called a SQL-injection attack when doing this. Few WordPress sites are compromised this way, but it is certainly a way that sites can be taken down. But in order for that to happen, you need to be running a version of WordPress or a plugin which is vulnerable to such an SQL injection attack. So if your plugins and themes and WordPress are up-to-date, you don’t really get much extra benefit from this. The issue with this advice is that if an attacker finds it difficult to find the login page for your site, you (or a coworker, etc) might too. If you have a safe and reliable way to bookmark pages that you find easy to use, by all means, do this. It does have some modest security benefit. These things can help your WordPress site to be more secure, but there are things that are more worth doing than these. Don’t waste your time: only focus on doing things with higher gains. In the next post, I’ll guide you to some WordPress security best practices. These are the things that can make a difference!